When you’ve gone to the effort of making elderflower sugar it is paramount that you make the most of it in ever varying and interesting ways. I thought I’d run out of sugar much sooner than I have; indeed I still have around 500g left. The sugar itself has an incredible aroma and every time you open the lid it smells of hedgerows. The little elderflower cakes I made were lovely but I wanted something a little more biscuit orientated. Not only does shortbread fill this requirement it’s also much easier to take to work; no icing to melt/squash before lunchtime. Beat the butter and elderflower sugar together until creamy and then mix in the flour and white chocolate. My silicone cake tin happens to be the perfect size to cook this amount of shortbread but you could roll it out and cut out biscuits if you wanted to or put it in one of those proper shortbread tins. I wonder if you can get shortbread tins with an elderflower pattern. Press the shortbread down into the tin and prick all over with a fork or put the biscuits onto a greased baking sheet. Put the shortbread into the oven for 45 minutes at 160C. If you make biscuits they won’t need as long. This is the part of baking that I don’t like; the waiting game. The house fills with glorious smells and all you can do is lick the air. When you take the shortbread out of the oven mark it into eight or twelve pieces and then leave to cool. I loved this shortbread; buttery and crunchy as expected but with exceptionally subtle elderflower and indulgent white chocolate. I found that the elderflower was a little overpowered when eating but afterwards when the enjoyment of eating the warm shortbread is over you get a little floral reminder on your breath. I have a few more ideas for how to use the rest of my elderflower sugar and am enjoying that it smells of summer every time I use it. I also like how having the elderflower sugar, like an ever present jar of inspiration, has meant I have baked more in the last few weeks than ever before. 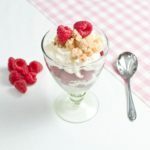 Sounds absolutely delicious, I can imagine the flowery taste with the elderflower sugar, a perfect taste of summer! I now just want to open the jar and sniff! I love the idea of elderflower sugar, I think I could get carried away with baking inspiration using this. How funny! I have a shortbread recipe on my blog just waiting to be posted…but now I feel sad that I haven’t put any elderflower or white chocolate in! Sounds delicious! What does elderflower taste like exactly? I love that you build on the sugar providing other things to make! I have not heard of elderflower sugar before your posts. Love all the new things I learn about when I ‘visit’ you. P.S. All your photos DID appear in the email subscription of this post. Great that you liked the idea of reviving Steak Diane. You look like you have a good elderflower thing going on. PS I am following you too. that is such a great idea for using that fragrant elderflower sugar – i bet the shortbread really lets that flavor shine. i sooooo wish i could find some to make all of your recipes, they sound AMAZING! Ohhh the shortbread looks great. I’m with Belinda, I’d love a big whiff of your special sugar! What great shortbread! You are making lots of interesting things with elderflower. Well done for being so inventive. 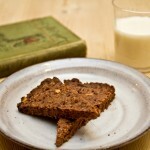 I am beginning to like all your recipes with elderflower and like said before, wish I can find them here. I can imagine the flavors and the wonderful smell coming out of the shortbread. 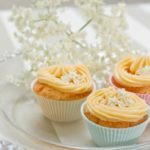 YOu have totally been on a roll with the elderflower recipes! I adore shortbread and white chocolate–I know I’d love this. Since you started to write elderflower recipes I have started looking for elderflowers. I am not lucky. Where do you find these flowers? open fields, forests, your garden?? Congrats! Foodbuzz Top 9 again! Bravo. Ha! Love the comment about licking the air – so funny! Really creative way of using elderflowers and wonderful food styling Caroline! I am CRAZY about elderflower… like, obsessed. I never imagined baking with it but you have seriously inspired me! Oh elderflower sugar is such a brilliant idea – must get onto it. And your shortbread sounds divine. have bookmarked. Congratulations on your foodbuzz top 9, today! Oh, and congrats on making the FoodBuzz Top 9! This looks amazing. I love your elderflower desserts. Wish I could find some where i live, but its not easy to. They must smell heavenly in desserts! What a wonderful idea! I really have to try this next year! I have three elder bushes in my garden and up to now I have only used the berries to make juice or jam and I only used elderflower to make syrup or elderflower fritters.